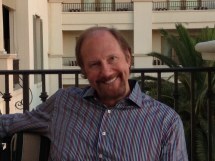 David M. Cook is the founder of, and managing principal in COOK & LOGOTHETIS, LLC. He practices primarily in the areas of labor union representation, employee benefits (focusing on the representation of plaintiffs and fiduciaries in employee benefits litigation), various aspects of Taft-Hartley multi-employer benefit plans, workers in employment law matters, and wage and hour cases on behalf of workers. David is a Charter Fellow of the American College of Employee Benefits Counsel, and is also a Fellow of the College of Labor & Employment Lawyers. He previously served as General Counsel for the National Postal Mail handlers Union, and as General Counsel for the Armco Employees' Independent Federation. David served as a member of the AFL-CIO Center for Working Capital's National Advisory Council of Employee Benefits Professionals. Bailey et al. v. AK Steel, (S.D. Ohio, September 22, 2006) Preliminary injunction granted to class of 4800 retired AK Steel employees against significant reductions in retiree health care coverage; action for breach of collective bargaining agreements and ERISA. Class settlement in the amount of $663 Million to retiree VEBA trust approved. 2008 U.S. Dist. LEXIS 16704 (S.D. OH February 21, 2008). Settlement affirmed by 6th Cir. (unpublished) March 2009. David has served in various capacities in the American Bar Association Section of Labor & Employment Law, including: Current Vice-Chair of the ABA Section of Labor & Employment Law ("LEL") Annual CLE Planning Committee; Co-Chair of the ABA LEL Section Employee Benefits Committee (1996 to 1999); member of the ABA's Joint Committee on Employee Benefits during 1998 and 1999; Senior Editor for Employee Benefits Law (BNA, Second Edition, 2000) annual supplements - including chapters on Civil Procedure & Enforcement, Collective Bargaining & Employee Benefits, and Ethics and Evidentiary Privilege. David has appeared and presented papers and presentations at over 65 programs, seminars and CLE programs across the US. David has been active in the community and his church for over 40 years, including service on the boards of Minorities in Math, Science & Engineering, and the Better Housing League, serving as a knothole baseball coach, and in a number of leadership positions in his church. He has two grown children of whom he is extraordinarily proud. The law office of Cook & Logothetis, LLC, is in Cincinnati, Ohio, We represent clients across southwest Ohio and northern Kentucky.